September 14, 2011 By Paula 82 Comments This post may contain affiliate links. After following Wanda and Paula’s advice about how to write a product review from the Amazonian Profit Plan, I spent about three full days creating my review page. The word count hovered a bit over 3,000, there were lists of bullet points, and a compilation of the product’s pros and cons. I drove to a local store that carried the product I’d reviewed and took detailed photos from every angle, which I used throughout the review. This gave my product review an edge above standard reviews that simply use the stock photo of the item from Amazon or the manufacturer. My product review was friendly and informative, and I knew that it was really good. However, after all that work, I had many days of the week pass by with that dreaded “There is no activity for this period” message from within my Amazon dashboard as I logged in each morning to check on yesterday’s stats. There is nothing quite as depressing as seeing that the prior day had been a zero-sale day! Thankfully, I did not give up. In fact, as of this writing, I think it’s been over four months since I’ve had a day without any Amazon sales at all! The key to my success, I knew, was to get traffic to my wonderful product review. And the key to traffic was going to be keyword research. The first thing I did was attempt to optimize my page for ‘product name’. Let’s call the page “Square Widgets Review”. I spent a nice chunk of time and money creating a variety of backlinks with the anchor text “square widgets” pointing to my review page. After several weeks, I was glad to see that I was in position #5 in Google, with the first four positions all taken by the widget manufacturing company. That company had a strong website, and I was unsure if I would be able to outrank them for the name of their popular product. Additionally, there were often Adwords ads at the top of the SERP’s, so that my #5 position in Google that I’d worked so hard to attain was below the fold! In fact, although “square widgets” showed 9,000 exact monthly searches, due to these factors, my page received only about 2 or 3 daily visitors from that keyword! Trying to make a living from a handful of visitors was not going to work, so it was time to rethink my keyword strategy. Then I noticed that there was another company that sold something very similar to widgets, let’s call them blidgets. I created a page called “widgets vs blidgets” and once again started getting a nice amount of daily visitors to my page from that exact keyword. There was one very high end widget that we’ll call the Platinum Widget. It was the highest priced widget that existed, and I noticed people commenting on my site, “Do you think the Platinum Widget is worth the money?” So I created a page whose title was that exact question, and on the page I outlined the benefits of the Platinum Widget while also reminding users that the standard widgets could serve them nearly as well. Of course, I included lots of detailed photos, all of which I linked to the product page on Amazon. The point of this article is to take a step back from your keyword research and look for obscure questions that people are likely to have about your product. Create a page focused on that question, and point a few backlinks to that page. When people type their questions into Google, your page is very likely to rank high up there in the SERP’s very quickly because your page title matches the visitor’s query exactly, or nearly exactly, and there is probably no competition for this type of long tail keyword! Put yourself into your potential buyer’s shoes and think about questions that he or she might have about the product. Are there similar products on the market; would she want to understand the differences between the various models? Read the reviews of the product on Amazon to get ideas about the types of questions people are likely to have about your particular product. The people who are researching the differences between two different model numbers are very likely to be people who have their wallet nearby and ready to hit that BUY button through your affiliate link! Although there might not be a lot of traffic for ‘this widget vs that widget’ terms, the traffic that does come to your site from these kinds of keywords are highly motivated to buy the item, rather than just being serial researchers! And those are the types of people who make our Amazon accounts say that lovely sound: KA-CHING! Ellen Braun is a stay at home mother of three and affiliate marketer. She recently started offering Amazon affiliate marketing coaching services within a membership forum on her new site OnlineGelt.com/coaching. She looks forward to working with you! Below is her August Amazon screenshot. What is noteworthy is that she spent a lot of August abroad on vacation – here’s to the power of passive affiliate marketing! Wow, those are amazing results. I was wondering about the site you are discussing here; how many pages or posts does your whole site consist of and the figure in the screenshot above – is that for the one website or a combination of all your Amazon sites. Thank you for sharing. This is definitely a great motivator for getting my Amazon sites updated. This is about 98% from one site. I put up a few other sites, but haven’t done much to get traffic to them. This is actually a site I’ve worked on for years, but the amazon affiliate pages are fairly new. I just counted for you. I have 11 full product review pages and 12 comparison types of pages and 4 informational pages in this niche. That actually doesn’t sound like much – I should write a few more product review pages! That’s very similar to a site I have: few pages but they count. Just depends on how well you’ve established traffic or written reviews. So now I’m curious though – on this site, did it start out as a ‘blog’? Did you have pre-existing traffic to it? My wife is establishing a blog herself and has 0 monetization yet, she’s still figuring her niche, etc. But she’s taking a different approach than I have, we’ll have to see how that goes. This site started out as the kind of site I branded and it had a newsletter. It had lots of natural links, but I hadn’t focused on SEO until I started with these Amazon page. Great post Ellen! Was that screenshot just for this particular site that you have in the blog post, or do you have multiple sites that contributed to the screenshot? How long ago did you start? Thanks, Tipjar. Like I just said above, that amazon income is about 98% from one site. I got started in Internet Marketing in 2005, but I started seriously pursuing Paula and Wanda’s Amazonian method a few months ago. Excellent article! And, I appreciate the screen shot proving that you know what you’re talking about. I have already downloaded your eBook from your site, and can’t wait to read it. Thanks for the information. Very motivational. I think I’ve been targeting wrong keywords. I’ll have to look at my articles again. It’s always a good idea to look over our keywords with a fresh perspective every so often – it’s easy to get stuck on one thing and forget to reevaluate what we’re doing. Just something related to think about (but loved your ideas and you awesome screenshot! Fantastic earnings.). Yes, Google is no poet. I remember a page I had comparing the journey of parenting to flying a plane. The Adsense on the page was about renting planes! Loved this post. You keep saying that you “pointed a handful of backlinks at this new page” – how exactly did you do that? Thanks very much. I use BuildMyRank a lot. I have a few #1 rankings on Google that I got exclusively with BuildMyRank backlinks. I have never used buildmyrank although I have thought of it. When you write these articles for this service, do you drop your keyword in the article body, or in a resource box? In the body- I never even thought of using a resource box with that service. It took awhile but now I really understand that it pays off greatly to look at what your visitors are searching for when they come to your site. Not only helps for traffic but also conversions! Once I started paying more attention my earnings also went up significantly. You’re so right; if you really put yourself in your visitor’s shoes, the effort will pay off. you say: “My website got about ten daily visitors from the keyword” and then “and there is probably no competition for this type of long tail keyword”. ok, if we use Google keyword tool, we can see, that long tail keywords have 10-20 exact monthly searches. let use your example and 400 exact monthly searches. 27 for 10 visitors.. we have ~300 visitors. and question is: How you get 4k+ clicks on amazon??? I did not totally understand your math equation, but I think I understand your question. 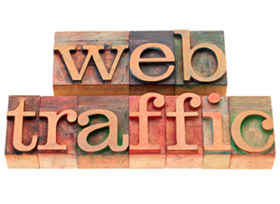 This site gets about 500-900 daily SEO visitors. I have a few #1 ranking keywords – but they are all very long-tail type of keywords, the kinds that get 400 exact monthly searches – or even LESS. I get a LOT of random long tail keyword traffic. When I look at the keywords that brought me visitors for one particular day, most of the keywords brought me just ONE visitor, since it was a long-long-tail type of keyword. I just pulled up yesterday’s stats. Google alone sent my site 735 visitors via 600 keywords. That means that only 135 of those keywords were used more than once. I only had 6 keywords that brought me more than 5 visitors that day! The other SIX HUNDRED keywords that brought people to my pages were random long-long-tail keywords! You can see why Ellen gets 4000 clicks through to Amazon by just reading what she did to get her review ranking. How many people would actually go down to a local store to take photos of the product? And she wrote a 3000 word review!! That shows how completely focused she was on one single review and that is the key to success with this business. Of course the traffic helped but she even thought about that as well and worked out how to increase it. Yes, my review is all about being the LAST place people need to go to make an informed decision about the product! but Ellen wrote, that first “my page received only about 2 or 3 daily visitors from that keyword” and she has 4 month without sales. Only, after keyword research, she got traffic to review page and start receiving sales. I think, main feature is – make good keyword research, choose lot of long tail keywords and then write big review with using these keywords and not is make cool photos from local retailer. am i right? I wrote that for the past 4 months I have NOT had a day where there were NO sales. Meaning, the past 4 months or so, every day I have had new amazon sales. I think the detailed photos add to the review. I can write in the description: You can see in the photo I took on the right how the red part of the widget rests just above the blue part of the widget, which is to your benefit, allowing you to fully widgetize your widgets! Great post! I do have a question though – did you identify your long tail keywords based on the odd questions that pop up on Google analytics or did you find them with keyword research? I’ve tried in the past to find long tail keywords but I have a hard time getting results, though this might be because I use Market Samurai instead of the actual keyword tool. I can’t remember how I found those initial ‘this vs that’ keyword!! I think it was a question that I personally had as I reviewed both awfully similar products, and I somehow realized that other people would have the same question… then I plugged it into Google’s keyword tool and noticed that it got 400 searches monthly. Oh and one more question – when you write your info page, how do you structure it to get them to click over to Amazon? Do you have links encouraging them to go to your review? I kind of did this when I noticed in my stats that people were searching “how to clean xyz widget”. I had done a product review on the xyz widget but for some reason, google was sending me traffic for those who were looking for how to clean it. So I went ahead and made up a page on how to clean it. It doesn’t help any with selling them since people already have it who are looking to know how to clean it. But I figured if google wanted to send me the traffic for that phrase, I ought to have what the people were searching for. Now I rank higher for that than the actual company’s website’s instructions for how to clean the xyz widget. I guess I need to start thinking about more phrases that might actually bring in buying traffic. hey Cathy I bet you could put up some adsense ads on that page to make a little money. I went and looked at my site and I’m also getting a ton of hits for various questions. I’m thinking about compiling them into a sort of FAQ page and see how that goes. I do have adsense on that page but I don’t think it gets clicked much. Yes, I get some of that traffic too, for example “How to adjust this specific part of the square widget” – and that’s traffic from owners, just like your traffic about how to clean your product. I don’t target that kind of traffic because I really want to bring BUYERS rather than owners to my pages:) I try to think of the questions that buyers would have prior to making their buying decision. I knew when I put that article up I wouldn’t be getting any buying traffic for it but I was hoping to help my bounce rate since google was sending me traffic for it anyway. I’m looking through my stats but so far I’m nothing is really popping out as for other more buying type of articles I can put up. I guess the next step is maybe look in the comments on Amazon and see if I can come up with something from them. Cathy, is there a benefit to improving the bounce rate of a site? Does that make Google happier with the site? And yes, read through the comments on amazon, and see if you can discern what types of questions buyers are likely to have. Yes with all the new algorythym changes, Google has said they are looking at bounce rates more closely a long with time on the site and loading time too. I’ve seen the effects of that – since implementing Wanda & Paula’s review guidelines on an existing Amazon review site I saw my bounce rate go from about 80-ish to about 44%. I also saw a steeper increase in my hits and a bump in the SERPs, though obviously I had no idea if it was due to the bounce rate or just the fact I’d vastly improved the quality of my content. I just figured at the time the old sales adage… the longer you keep them, the more likely they are to spend money. Ellen, congrats on your success, that’s awesome! I love the point you make about creating pages specifically tailored to answering customer question about the product. It helps expand the site, and more importantly helps the visitor get their questions answered. Once answered, they’re more likely to click through and buy. Before reading this I was confident about the rewards of choosing the right keyword. Thank you for sharing an amazing alternative by putting myself in the buyer’s shoes and use the questions they ask instead. Yes, it’s standard marketing, be it online or offline: Put yourself in the buyer’s shoes and anticipate what he or she will want to know! Thanks for the post. It is always encouraging to hear from real people who are really making money with some form of internet marketing. Also leads me back to some of my sites to add content and keywords. Thanks for taking the time to make this post and respond to everyone’s questions. Thanks, Jackie. I’m also inspired by hearing from real people earning money online! Hi Ellen, this is fantastic. This is a great way to increase traffic. Great Post! I love reading success stories. I finally broke down and purchased Amazonian Profit Plan 2 weeks ago and am doing my keyword research right now. How long did it take you to build up your Amazon income once you had your reviews online? I started focusing on the APP method of making money online around November 2010. So it took quite a few months to get to this August screenshot. But I did get distracted by personal issues along the way; I cannot say that I worked consistently that entire time. Would you say that all types of product/brand Keywords would receive such low traffic? I mean, they usually have a high PR page at the top, as well as tons of adwords on the side anyway. Google Adwords sometimes lies, too, from my experience. I don’t know much, though, because I am trying to diversify from Adsense to Affiliate atm. I’m finding that if you optimize for “product name review” there are far fewer Adwords than a search for just “product name”. But, on the other hand, there are far fewer searches for “product name review”. I love Amazon but I’m having a little trouble with sales – I do get click throughs but they dont convert – I’m mostly putting the product at the end of a blog post – for example I have a twitter post so I put products about twitter etc at the bottom – Is this a good idea or bad or am I just missing something? Thank You for the great info!. How are you getting traffic to these posts? I’d suggest that you look at your SEO and see if the visitors coming to this page are coming for keywords related to your post. Fantastic results the new ZMOT report from Google notes that over 70% of people check online reviews before buying, definitely a great strategy. Much appreciated and a great post. You mention build my rank. How many posts for each keyword would you say it takes for that? I am looking to potentially use that service in addition to my many backlinking strategies? Thanks in advance and your earnings as Paula and Wanda have shown us all, this can be done. It depends on how competitive your keyword is – some posts will rank at #1 with 5 articles; some will still page on page 2 of Google after hundreds of articles. Ellen is spot on with her response. This is one question we get asked a lot but it just depends on so many factors that it is impossible to say exactly how many articles are required to get a page to rank. I’m curious if you’re using Build My Rank. I know your main source of backlinks was doing guest articles or posts. Are you now using Build My Rank also? Thanks. No we don’t use it Jerry. We’ve tried these sorts of sites in the past but never really had much success. But we might give it a go because we can’t just assume they are no good based on what we have tried in the past. The problem we had with the sites we have tried previously is that the websites that the articles are placed on are of poor quality in general. We will give it a go and write up a review for our Affiliate Reviews HQ site. Try it for a month, focusing on a medium-competitive keyword. Don’t use any other backlinks for that keyword. Wait 6 weeks, and check your rankings – that’s the way to see if it works! Sometimes my kids tell me random stories about my niche and watch me type their words into backlink articles in BuildMyRank! The articles need to be at least 150 words, unique, and make a moderate amount of sense, so it’s a relaxing activity for me to write those articles. I also outsource them, as I can’t do that many per day! I suppose you need to keep thinking! I definitely get SOME traffic from people who already own the product and have questions about it, but I don’t target those people. They can call the manufacturer with their questions – they already have a receipt! Thanks Ellen, this was my first APP site and I was concentrating on the key words and not thinking about would they be ones likely to bring buying traffic! But you live and learn. That is a very clever idea. I have been following Paula & Wanda’s blog for a while now because I’ve always wanted to get into affiliate marketing but I stink at it. If you follow APP, you’ll soon say, “I used to stink at affiliate marketing”! Excellent information, Ellen. Thank you for sharing it with us. Glad that it worked out pretty well for you. I would love to try that as well, one of these days. Long-tail keywords might make the quality of traffic to your site better than just using regular keywords. It does a much better job of getting people to convert. That’s a really neat idea. I’ve been looking at a few product moiel numbers VS other product model numbers using the google external keyword tool, and find that often it comes back with zero search volume… now I appreciate it’s supposed to be an innacurate tool (googles keyword tool), so would you still go for it or are you getting search volume metrics elsewhere that may be more accurate? For instance I searched a phrase ysterday and it said 4000 monthly searches, today it says just 22 a month, so a little bit disconcerting I have to say. Hmm. I don’t know why it would change from 4k to 22 – that sounds very odd. Are you sure it’s the same keyword with the same filters in place – exact, broad? Yes, I’d write a post comparing models even if I don’t see searches. People find these things helpful. As long as the main product is getting searches, you’ll get traffic for these kinds of posts! Whyyyyy haven’t I been doing vs. articles on my blog?! I’ve been doing great with Amazon Associates over this last year; saw a dramatic rise after a few tweaks I’ve done in content but I had completely forgotten about doing vs.’s style content which is perfect because people are ALWAYS looking for the difference and instead of just saying like “well, you got this and that”, you could answer those questions right then and there. That’s a great idea and one I hadn’t thought of before. You can’t make any sales without any traffic and it’s always good to learn new, creative techniques on reeling in free traffic. Thanks for sharing. Thanks for your post. I realised that i have been chasing my key words and not taking a step back and looking at the picture as a whole. I must find out what problems clients have and solve them. Thanks. Ellen certainly got it right. We need to remember that we are in this business to help people, so making sure we cover all the things that they may need to know about a service or product is paramount. It certainly helps with converting that traffic to sales. This is just absolutely brilliant! I have a site that people often get to via “obscure” search terms. I am going to create pages directed towards those terms to see what kind of effect that will have. Thanks for the post. Your amazon stats are absolutely inspiring. Had to visit your website to check out onlinegelt.com. You’re amazing. Do you think this method is still effective despite the current updates in the search algorithm? It sure is effective – if you do a keyword search on “your keyword” vs you will see the stats for your products – I was blown away when I saw how many people were looking for comparisons in one of my niches – up in the thousands for monthly searches. You would just need to do your keyword search to check it out. Ellen, I am a bit discouraged because I am thinking if Home Depot or ToysRUs sells a certain item, why would someone shop online for it? Don’t be discouraged Kristie there are thousands of people who hate shopping (I’m one of them!) and shop online or can’t get out of the house – Mums with small children, carers, the housebound, shift workers who can’t get to the shops, so there will still be plenty of people shopping online. A good guide that I use when doing keyword research is buy + keyword (eg. buy dolls), or buy + keyword + online (buy dolls online) because usually if they use the word buy and especially buy online they are ready to buy. You can also use any other words you can think of such as (shop online for “keyword”) or (purchase “keyword” online). Use your keyword seacher and put in buy+keyword and see what comes up. Also if you are using Amazon they have plenty of sales and cut price toys all the time so promote them. Don’t forget you can often purchase online much more cheaply or for the same price than you from a shop and for many it is just convenience. I got my very first cheque from Amazon this week – for $130 – after just over 12 months online. I know that I haven’t done enough to promote my sites yet – that’s the next part of the learning curve that I am on. So don’t worry about your small stats – mine are miniscule at the moment but I still made a bit of money. Also good plan to talk to people as if you are talking to your sister – I think we all get caught up initially in the selling as that is why most of us get into it. I highly recommend purchasing Paula and Wanda’s Amazonian Profit Plan it’s the best course for Amazon Affiliates and gives you all the guidelines you need for chosing products, writing the reviews, keyword research and SEO etc. They think a bit differently to other course writers as well, it’s a really great course and can be applied to any affiliate products. What I did was go over to oDesk and I hired someone who could take my idea and turn it into a website. The guy I hired is an electronics engineer in the Philippines. At first, I hired him for 10 hours per week to see what he could do for me. The guy is amazing. He now works 20 hours per week, writing 2-4 articles per week, 15-20 Build My Rank articles per week plus other misc. duties. Since he was relatively new to oDesk, I was able to hire him for $2.22 per hour. You can bet that if someone else wants to hire him in the future, he’ll be asking for more. You won’t believe this but he did a very short article on my website about some new technology and that article got over 10,000 views from StumbleUpon. The bad part is I haven’t been able to monetize my site properly yet, but I’m working on that. OK, I’m sorry this is so long. I justed wanted everyone to know that if there are things that you are not good at but you have some good ideas and a plan to get where you are going, it is possible to hire outsourcers. I have same problems with you. Could you tell me who is he? Your amazon stats are absolutely inspiring. Your Amazon figures are really impressive. Now I am also thinking of starting a blog to promote Amazon products. What is the price of that ebook which had helped you in your success? Thanks for Ellen C Braun for this great article, and thanks a ton for Wanda & Paula for inspiring me to be a good int marketer. wow, amazing tips. I want to get the same result on my amazon account,thanks man you are awesome..